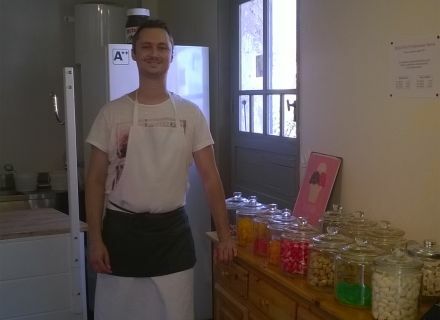 I take you thus to Coulon, quay Louis-Tardy today, to meet the confectioner's 5th generation ice-cream maker Leclercq. 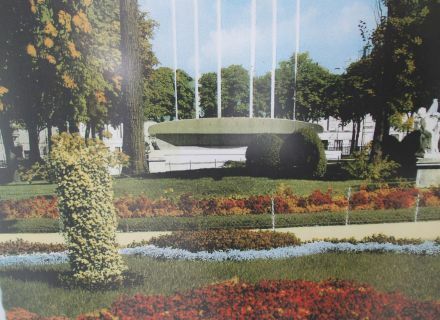 The niortais gourmands and many others moreover know him well because they were settled square of the Brèche, in Niort, from 1897 till 2013 … The trade secrets were passed on from generation to generation and you can taste even today one of the specialities: the boiled sweet, the certificate of which was put down in 1959 and which was sent in whole France. You will also find within the new coulonnaise shop pancakes, honeycombs, churros and brown nougat! And of course ice creams! 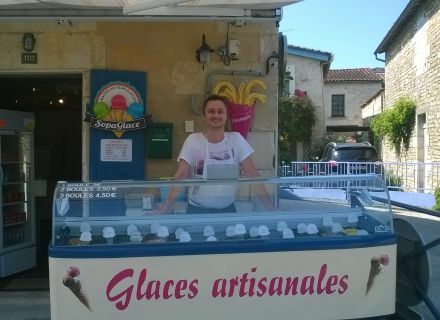 Made home-made ice creams since 1983, in some kilometers, to Mauzé-sur-le-Mignon, by master craftsman ice-cream maker Jean-François Duport, of the company Sopaglace. In recognition of this know-how, the company received in 1999 the distinction of Master Artisan Glacier. 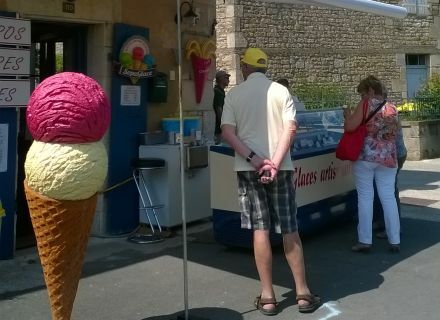 The confectioner ice-cream maker Leclercq proposes in the sale 24 ice creams of the production of the company Sopaglace. You will have the choice between sherbets (fruit-based ice cream) or dairy ice creams. Besides the traditional tastes strawberry, chocolate, coffee, you can taste regional specialities, such as the caramel in the flower of salt of the île de Ré. I "sacrificed myself" and tested for you a scoop of ice cream in the pineapple: a pure delight! 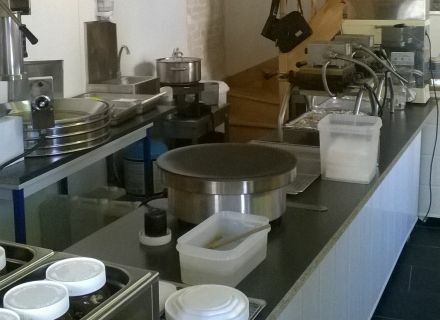 The ice-cream maker confectioner Leclercq has a preference for the ice cream fruit yoghurt. And you, which is your ice cream?